The 2014 Glasgow Games promise an upturn in fortunes for this once proud industrial hub. It was once the engine-room of the Empire’s second city. The streets of Glasgow’s East End echoed to the relentless pounding of hammer on steel, the clank of chains and cranes and the crackle and hiss of welders’ sparks. From its foundries and factories rose some of the Britain’s greatest icons both Forth crossings and London’s Tower Bridge to name but three. Its workforce’s engineering prowess even played a part in the creation of the ill-fated liner Titanic, with an East End yard supplying the largest gantry crane in the world at the time to Harland and Wolff in Belfast. These historic constructions were all produced by a fiercely-proud working-class community who were the area’s and the industry’s lifeblood. Yet nowadays the East End of Glasgow’s workforce is better known for what they don’t do than what they do. In 2011, weary Government officials labelled the Dalmarnock and Bridgeton area of the city the benefit capital of the UK after discovering nearly nine out of 10 working-age adults were on some form of welfare payment. But now, with the Commonwealth Games close, locals hope the event will transform the area for good. Yet the East End of Glasgow’s reputation for unemployment and neglect ignores its rich history. 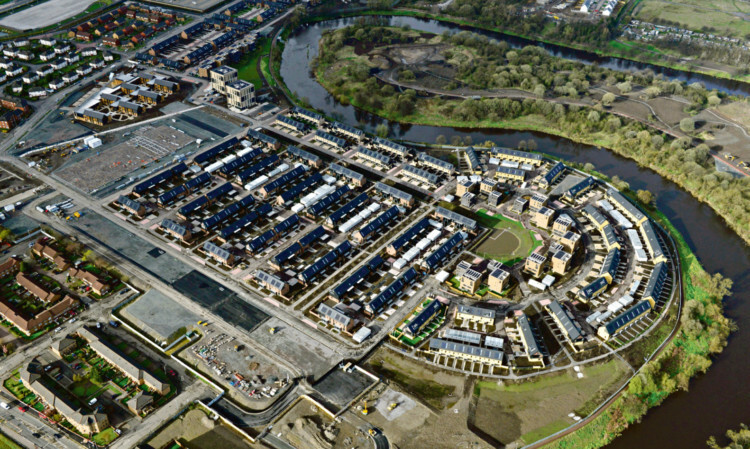 The villages of Dalmarnock and Bridgeton sprung up in the 1800s garnering a golden reputation for textiles and weaving. And when rapidly expanding Glasgow engulfed the villages during the industrial revolution, locals soon found near full employment in heavy engineering, ship-building and mining. As well as Templeton’s Mills, other large employers included Sir William Arrol & Co civil engineering works, who built the Forth bridges and Tower Bridge in London, and mining machinery giants Anderson Strathclyde. Together the firms employed tens of thousands of locals. But those days are long gone. Now the biggest employers are call-centres attracted to the area by cheap rent and rates and which employ an equally cheap army of teenagers. The only remnant of the area’s proud industrial past is the 50ft cast-iron Umbrella that still stands at Bridgeton cross. Built in 1870s it was used to shield the few unemployed from the rain as they waited to get picked up for casual shifts on wet mornings. When heavy industry deserted Glasgow in the 1980s, Bridgeton and Dalmarnock were among the worst hit, leaving a trail of unemployment and families reliant on state handouts. The problem got so bad that the then Tory leader Iain Duncan Smith conceived his controversial welfare reforms after a trip in 2002 to the East End. The area is close to a transformation of Olympian proportions. Vast amounts have been pumped into regenerating the East End, which will host much of the Games. There’s been the construction of the Sir Chris Hoy Velodrome and the Athletes’ village, which will later be turned into social and private housing. As well as the £700 million extension to the M74 that cuts through the area, there’s been a £50 million investment in railway stations and subways. The new transport links have already given a much-needed shot in the arm for local property prices, seeing them shooting up above national averages. The race for council housing at the Athletes village post-Games is already fiercely competitive. Police Scotland’s new Glasgow headquarters will swap their city-centre base for the East End, housing 900 staff. Commonwealth bosses say they’ve awarded half of the £400 million Tier-1 contracts to local firms. Billy Rafferty, managing director of Parkhead Welding, said: “We won the structural steel works contract for the Emirates Arena, worth £905,000. This was a good contract for any company, never mind one of our size, with 25 employees then. However, not everyone is as positive about the Games and their aftermath. Paul Merrick, who has lived in the area for 22 years, said: “We’re not nave. We know all the money being spent here is only because of the Games. Without the event it would be the same old story. We just hope it leads to long-term jobs and housing. But council chiefs are certain they are winning the race to improve the lives of Eastenders for good thanks to the Commonwealth Games.